eTT Aviation, founded in 2002, specializes in airline crew and flight schedule management solutions. Its two products, SkedFlex and Crew Companion, support tens of thousands of aviation professionals at global, regional, cargo and charter airlines. As eTT’s suite of products evolved, so too did the need for ever more sophisticated reporting. In fact, the need for comprehensive business intelligence rose to become the most requested feature among both existing and potential customers. and Josh Weinshank, COO, chose Sisense from among many vendors to serve as their business intelligence provider – gaining powerful embedded BI while saving scores of development hours per month. When potential customers ask, ‘What kind of reports do you have?’ We’re able to say ‘All of them! You’re able to create whatever you want.’ It’s as simple as that. eTT’s SkedFlex software is an automated flight and crew management system with optional modules that address everything from fleet management to crew training. Yet, despite the fact that the software collects millions of data points from each customer during normal use, the ability to extract that data for comprehensive analytics was limited. Furthermore, while frustrating existing customers, the lack of a comprehensive BI solution was discouraging potential customers as well, who demanded better visualization and reporting than was available before integration of the Sisense solution. eTT needed a tool that could integrate with their existing PHP platform and PosgreSQL databases. Moreover, the solution had to be comprehensible to their customers, who would build and modify their own dashboards and needed the ability to consume data from a variety of sources, such as legacy spreadsheets. 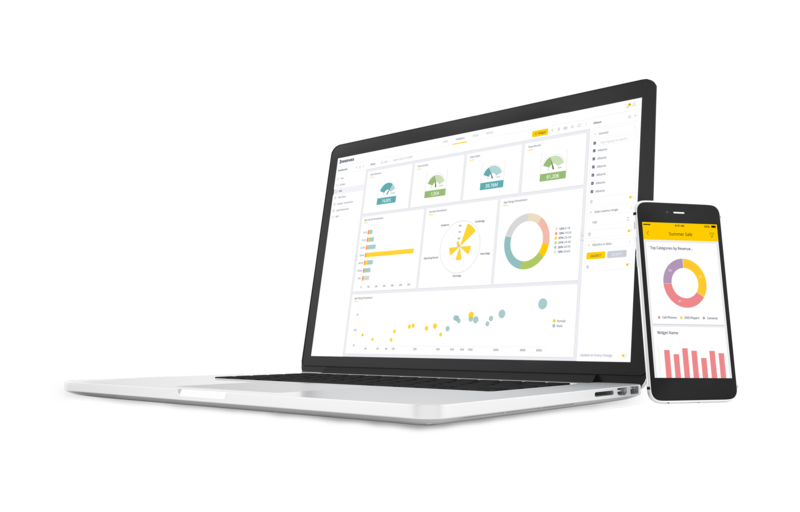 eTT’s new business intelligence module, powered by Sisense, frees customers to create their own reports to resolve problems in real time and for later analytics. Customizable dashboards allow customers to modify reports to meet their individual needs and lessen the burden on engineering staff, saving countless hours that are better spent on core product development and improvement. Now we have a way to get essentially every bit of data out and the airline can display it and manage it exactly how they want. inadequate, creating new ones was too expensive and time-consuming, and it was too difficult to apply evolving needs for information and analytics to the report structure. These problems were solved with the adoption of Sisense. Using Sisense has propelled eTT to a more competitive market position and allowed it to concentrate on its core product while empowering customers to get exactly the information they need to make more informed, reasoned, and profitable decisions.